If you’re still reeling from the news that both Lin-Manuel Miranda and Phillipa Soo will depart Hamilton after July 9, then please sit down before reading further. 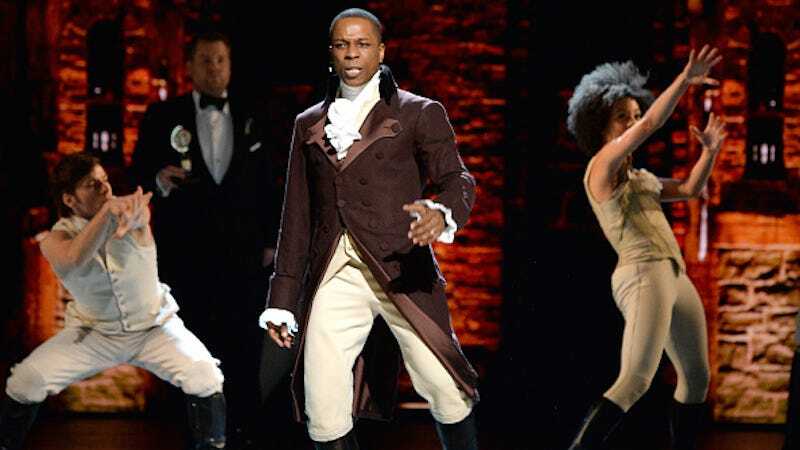 I regret to inform you that on that same day, Leslie Odom Jr. will deliver his final performance as Aaron Burr (sir). Odom Jr. announced his imminent departure on Sunday afternoon in a Facebook live broadcast. But he is also energized by the potential in a clean slate. He cites the Hamilton rehearsal room as “the most exciting part” of his experience with the production precisely because it is a place of discovery. “That [uncharted territory]...kept me up at night,” he explains. “I’m excited to have a blank page again. I’m excited to go out and find something new.” Moreover, he is eager to see others take up the role of Burr — to teach him even more about the character’s complexities. Odom Jr. hasn’t yet revealed what that “something new” will be. But with a sparkling new Tony award on his mantel—he won Best Actor in a Musical for his role as Burr—opportunities surely abound. And in the meantime, I will continue to binge on “Wait For It” until the lyrics themselves are branded on my brain. Cheers, Leslie. You’ve had quite a run.